Just thought I would share this little guy with you all. 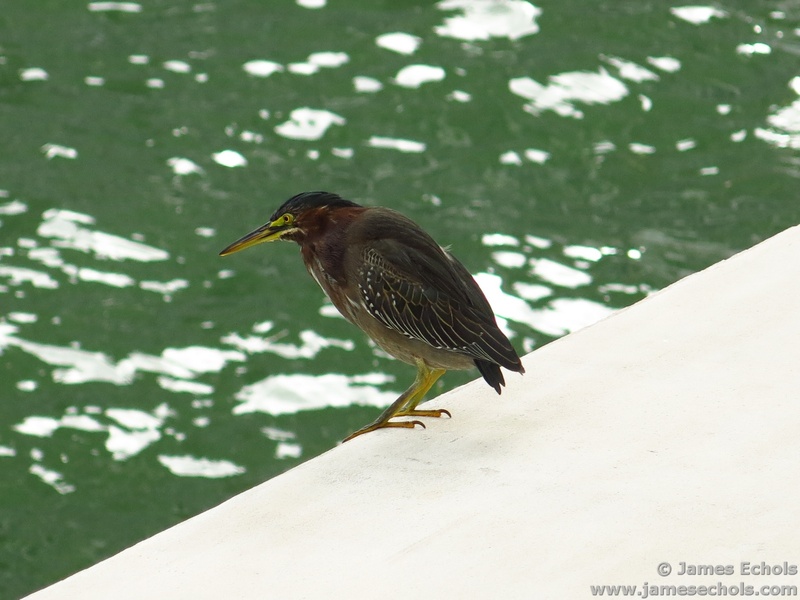 He’s a Green Heron who visited us during the River Walk Festival this past weekend. He was so good at posing, I had to shoot a few photos of him. And yes, this is actually why we named our organization. I think this will come as a surprise to many people. As host of one of the most popular calendar / event websites in South Florida, Soul Of Miami, we have a fairly unique barometer of the activity of the local residents. We can see how active everyone is by the rise and fall of our traffic. We also can see how busy the scene is by the number of events listed each month. When we look at our numbers to see the slowest month, many people would guess August or September because they are the height of summer and supposedly the slowest months of the “off-season” in Miami. But, the fact is that January is our slowest month, in terms of visitors. There are still approximately the same number of events in January as other months, just fewer people looking for them. Going into January, we have Halloween, followed by Thanksgiving, followed by Art Basel, followed by Christmas, followed by New Year’s Eve. There are other big events thrown in there like Miami Book Fair. No wonder everyone is tired by January! So, how about our busiest month? Again, a surprise. You would think it would be November/December, as everyone is coming in for Art Basel, and we have an excellent roundup of the happenings. But, it is actually October. In this, we can see an opportunity. Everyone is looking for haunted houses. By far, our most-visited page that month, or any month, is the International Mall House of Horrors. Miami has a significant lack of haunted houses, as compared to other similarly sized cities. But, this is something the residents obviously want. There are a couple more that have popped up, but still very few. So, there is a little Soul Of Miami resident analytics for you. Do with it what you will. Stop ruining my art walks. So, I went to the Thursday Wynwood Art Walk for the first time tonight, and I have to say I love it. But, you don’t come. You wannabes. You posers. You scenesters. If you just come to Wynwood because everyone else does. If you just come to eat and drink. Don’t come on Thursday. We don’t want you. We don’t like you. We want the lovers, the freaks, the artists, the creatives. We want those who come here to learn and experience the art. These are the true people of soul. The true Soul Of Miami. The rest of you, stay in your herd and don’t ruin my Thursday art walk like you did my second Saturday. 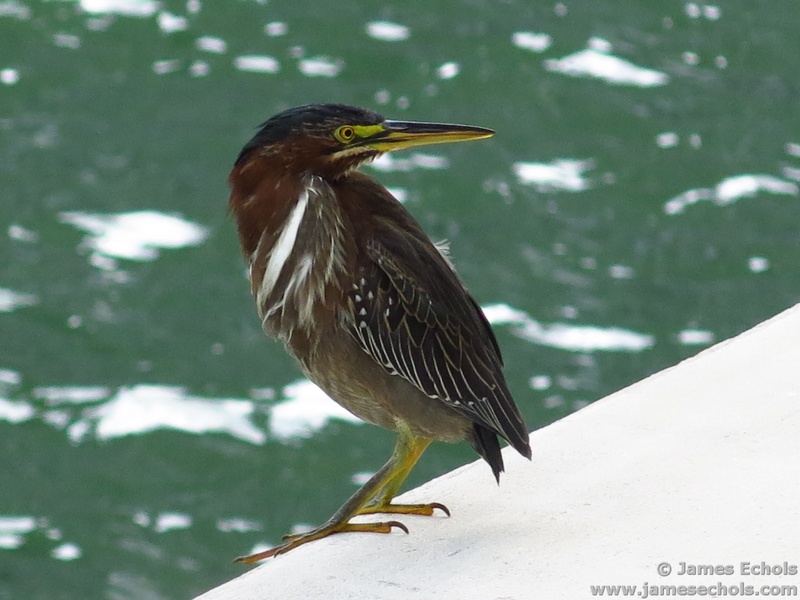 So, today I was at the South Miami Art Festival taking photos, as usual, for Soul Of Miami. As I was shooting one section, a woman started hollering from across the street, “Please don’t take pictures of the art!” Before I continue, let me show you the photo I was taking at the time. You will note that I have blurred out the actual art. 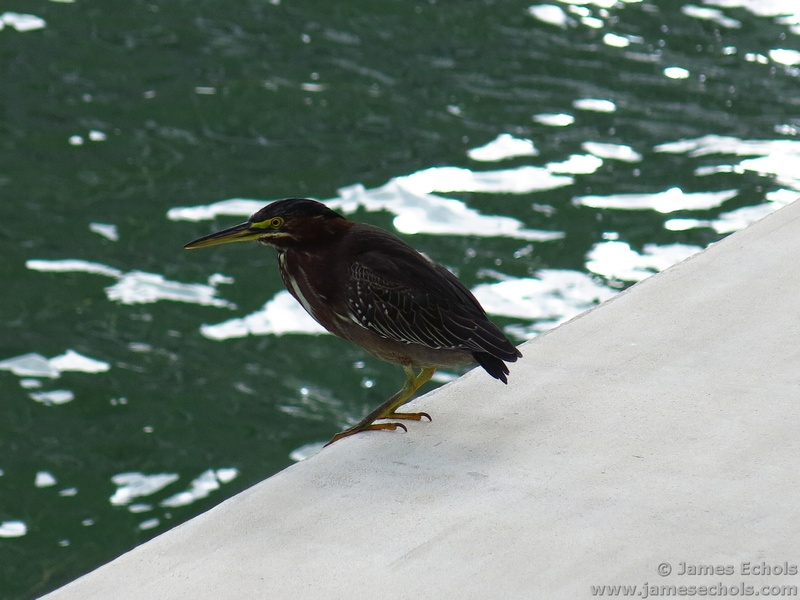 Anyway, she was all apologetic, saying, “this is not a gallery, but it is a gallery,” but inside I was like, “YES! 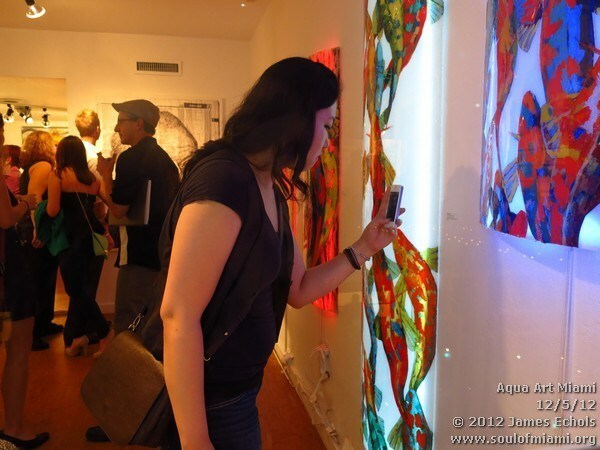 Finally!” As you know, I am a creator of arts events, a curator, and an art enthusiast. I HATE it when people photograph art. Yes, hate. I think it is a completely douchebag thing to do. (The only exception is if you are a professional reviewer shooting for a physical publication and you clear it with the artist first). 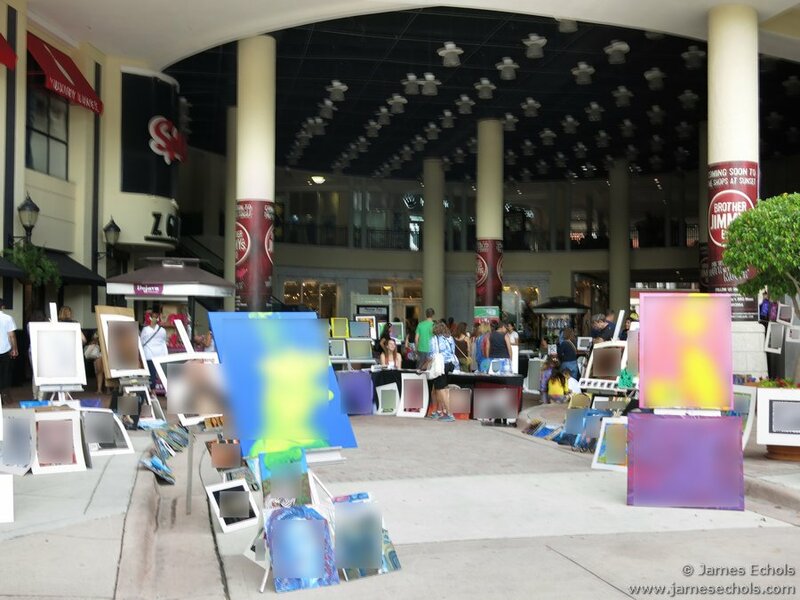 Later that day, I was speaking with an artist manager friend of mine and this person told the story of one of the other artists showing at the festival who had been dropped from his gallery because his artwork had been showing up all over Facebook. This is not a joke. When you take one of those straight-on, carefully held, nicely framed photos of a piece of art, you are, essentially, stealing from the artist. Like the image? BUY IT. Now, you might say, “But Jaaaaaaaaaames, you are always photographing art.” Right, so let me show you the acceptable ways to photograph artwork. And, let me be clear, these are only somewhat acceptable. Even I feel a little uncomfortable doing these, but since it is my job to showcase the event, it is necessary. If the artist asks you not to do it, then don’t. Shoot the art from off to the side. The flattened 2-dimensional angle makes it harder for people to reproduce. People still get the feeling of the art, but without making it easy for people to steal the image. Honestly, this one is a little too straight on for me, but it was a long week and I was not as careful as I usually try to be. A nice shot of people enjoying, and partially obscuring the art. Again, it gives the viewer an idea of what the art looks like, without making it easy to reproduce. Another reason I like it is because it shows people enjoying the work. This is one I love. A side on shot of someone really getting into the piece. It’s so cool to see people moved by a work. So, are you getting the idea? The idea is to give the viewer a feeling for what the art looks like, and for what the event itself looks like, without making it easy to steal the image. You see what she’s doing there? She is photographing the artist info for the piece of art, so she can look it up later. That is an AWESOME thing to do! Maybe we’ll call it two and a half negative examples. The woman in the gray pants seems to be doing “The Angle”, so that might be okay. But, the other two, definitely uncool. If you like it that much, buy it! “Ooooh, I love this piece! I’m going to make it my wallpaper! I’m just going to snap a quick pic and share it with all my friends! Who cares if the artist can’t eat this week.” Super-uber-not-cool. Stop. Doing. This. I’m not going to get into the, “but it could help them promote their work” nonsense, so don’t even try. Unless you are a true influencer or reviewer, your taking their work without permission and using it as your Facebook cover or phone wallpaper is NOT going to help them sell more work, believe me. It is just nonsense rationalization. So, I hope you are getting my point. As we come up to another Art Basel, I think it is time we all consider being a little more considerate of the hard work and struggle that many artists have. If you love their work, tell them, don’t take it for yourself. They will love it if you come up and tell them how much you like their work. And don’t worry, they aren’t going to try to hard sell you on it. If you have a friend who might want to purchase it, pick up a card, don’t snap a pic. Let’s help keep the arts flourishing because, you know, Life Is Art. 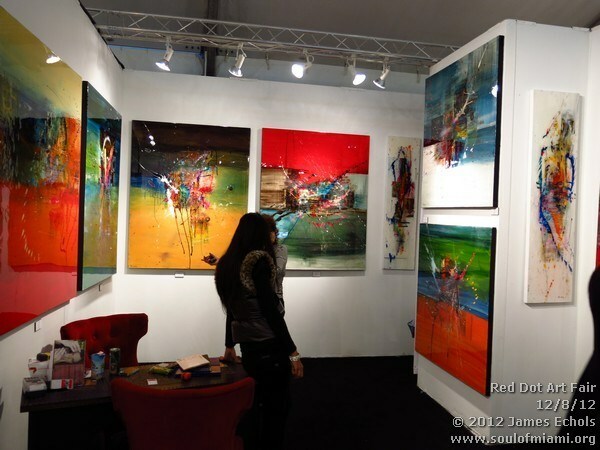 The “Art Basel” Overload – What To Do? This is also posted on the big site, but I wanted to post it here for posterity, because someone needs to say something. Everyone’s thinking it, but I am going to come out and say it publicly. The “Art Basel Week” has gotten way out of hand. I think it is safe to say that few people get out to more events than we do. There are some that do, but I think everyone would agree we make it to quite a few. We talk to a lot of people. A lot. And this year, the absolute consensus is the number of available events is just overwhelming. “It’s too much,” we hear over and over. Every year there is too much to do, but this year, we hear this refrain more than ever, from everyone. Everyone says they are suffering from overload. And, it is true. Every year there are more fairs, more exhibitions, more parties and more people. So, how much is too much? You know, we love you all, all of you who bring art to our city, and we are really happy you have come here, but do you not think it is getting a little out of hand? Really, it is getting a lot out of hand. Maybe it is time for a change. I guess I will be the one to stand up and say it. 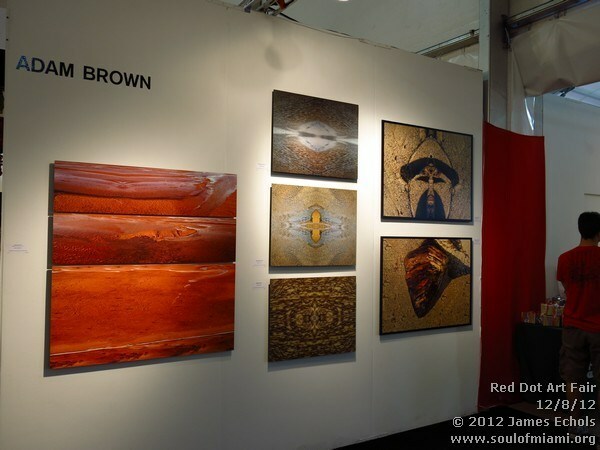 On Tuesday, December 4, 2012, there were over TWELVE Vernissages / Openings for various art fairs. Don’t believe me? Check out this screen shot from our Tuesday summary. I’ve highlighted all the Vernissages. As you can see, there are a numerous other parties, as well. And that is just Tuesday. (Click the thumbnail for a larger version.) We have over 120 events listed in our full roundup, and I know we have missed dozens of others. How can anyone possibly make even a small percentage of that? We all know that there are many art people in town this week, and everyone wants to try to take advantage of that. But think about it, if you start a new show/fair/party, there are a couple of options. First, you might just pull people from the regular crowd. If a lot of new events open up (like has been happening), that means quite a few less people for each event. Not optimal. On the other hand, maybe all these new events do draw more people to town. Where do those people park? Where do they stay? How do they get around. The traffic is already epic fail. It is not going to get better. There are only a finite number of hotel rooms and parking spots. Also, not optimal. The same is true for the expansion of the current fairs/shows, it is either going to spread the same number of people thinner or it is going to add to the already terrible problem of overcrowding. How long is this really sustainable? How long until people just give up because they cannot handle the load? We have actually already seen this happen. Some people are going out to fewer events because they are so overwhelmed by all the options. The thing is, you all are doing yourself a disservice with this much activity. Nobody can possibly do it all. Nobody can even do a small percentage. Sure, there are a lot of art people in town, but spreading them so thin hurts everyone. You are missing out on potential sales because people are at the dozen or more other events that night. By jumping on the bandwagon to try to take advantage of someone else’s hard work, you are actually adding to the problem. Meanwhile, we have 51 other weeks of the year with only a few fairs sprinkled throughout. Like I said, we do love that all you guys and gals come to our city and bring all this art, but how about making it so we can see some of it? How about some of you get together and we all do another art week? Maybe a few. April would be a good time. It is towards the end of season. Weather is still usually good (at least as good as it gets in Miami). Most of the snowbirds are still here. 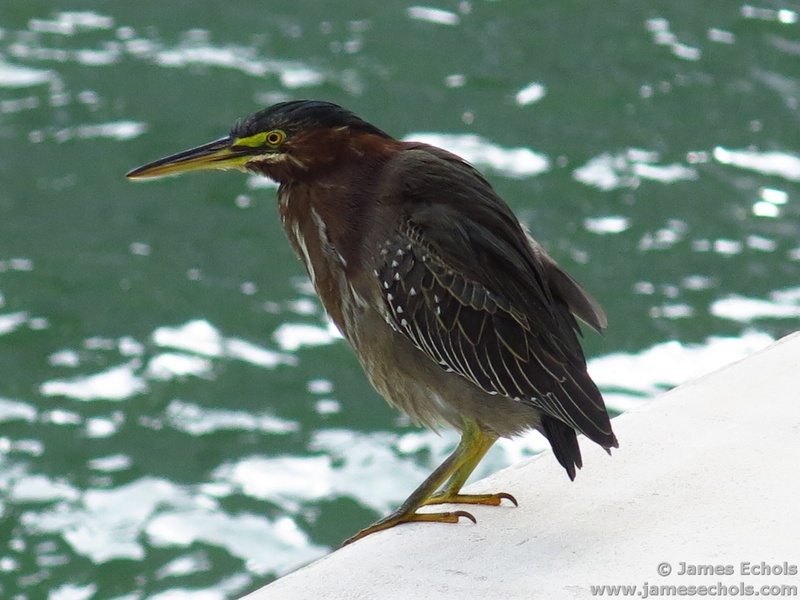 We are past all the mayhem of WMC, Boat Show, and the other big winter events. Why not create another art week then? Who is going to have the courage to take the first step? This is what I would really like to see. 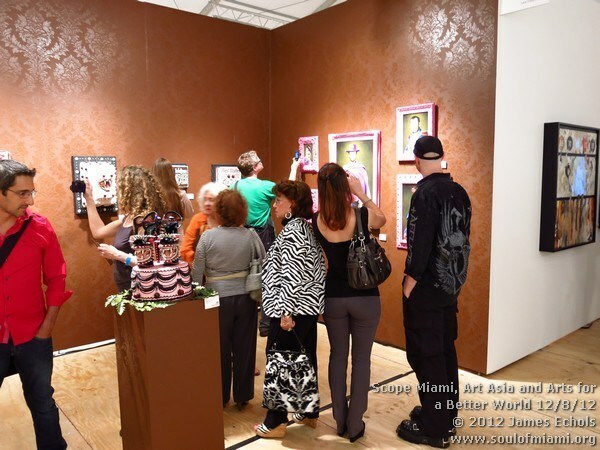 I think it would be great if a couple of the bigger ancilliary fairs stepped up and took leadership to do this, maybe Scope or Art Miami. Pick a new week. Start a different art week. Think about how awesome that would be. Anyone who does it will be hailed as courageous and visionary. Plus, you get your name up in lights. Right now, this is “Art Basel Week” (no matter what anyone else tries to brand it) and all of the other fairs and events are mentioned secondarily. But, if one of the other fairs took the initiative to step up and make the change, then that would their week. 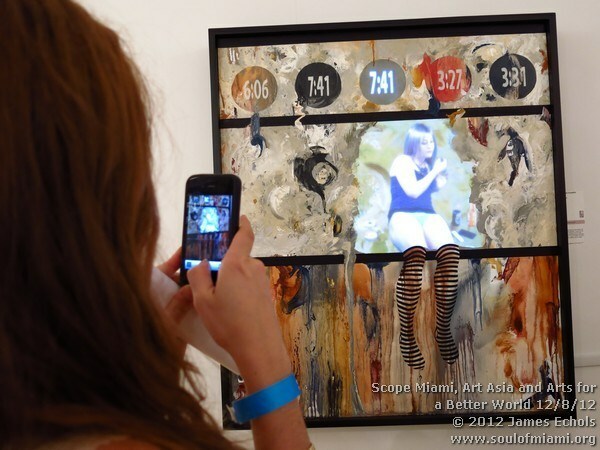 Rather than just being a follower during “Art Basel Week”, they would be the leader for “Scope Art Week” or “Art Miami Week” or maybe “Pulse Miami Week”. There is a real opportunity here to break out of the pack and be a leader. The thing is, Miami is not what it was 10 years ago, when the brave souls at Art Basel decided to open up a new fair here. 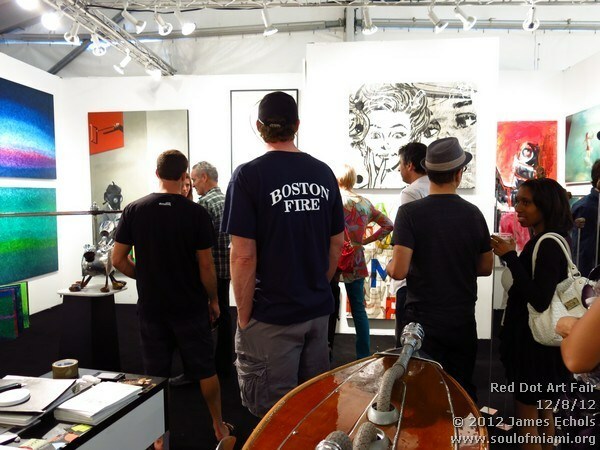 Back then, it was not really seen as an “art” destination, known more for the nightlife and beaches, and it was a challenge to convince people to come for an art fair. But, now it is becoming one of the major players in the art world. Now, it would not be as hard to convince people to come for art. Opening up a second week would give people a much-needed relief from the overload that is “Art Basel Week” right now. Will anyone do it? Seems unlikely, but we can hope. 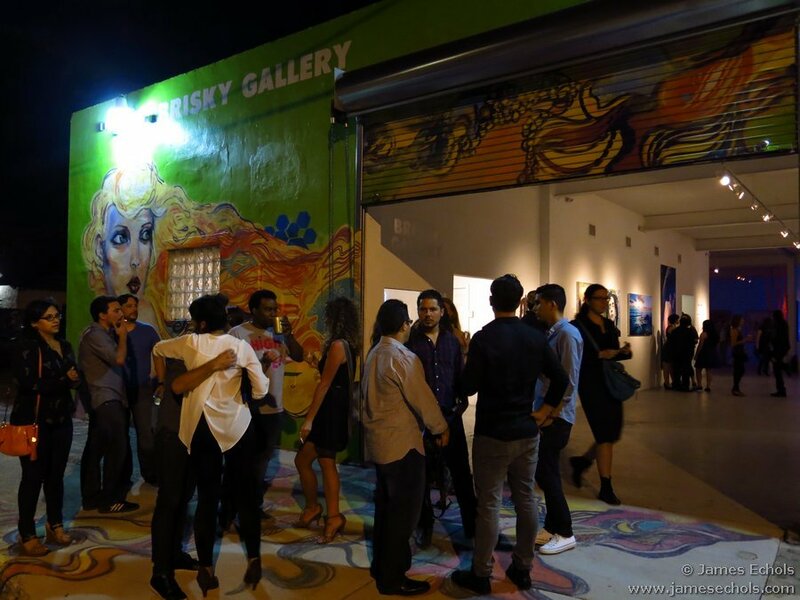 It would take a lot of guts and smarts, just like the guys who started Art Basel Miami Beach. They took a chance and tried something new, and it certainly worked out. Will anyone else step up and take a leadership stance? We hope so. I figure I will get a million flames telling me why this is not feasible, but that is okay, leaders always have people telling them that what they are doing is impossible, as they go ahead and do it. Happens to me all the time. All I know is what I hear from the people, and the people are overwhelmed. Something needs to be done.